"I have 7,200 children- the largest family in the world- to take care of. 1,100 of these are babies under 5 years of age. 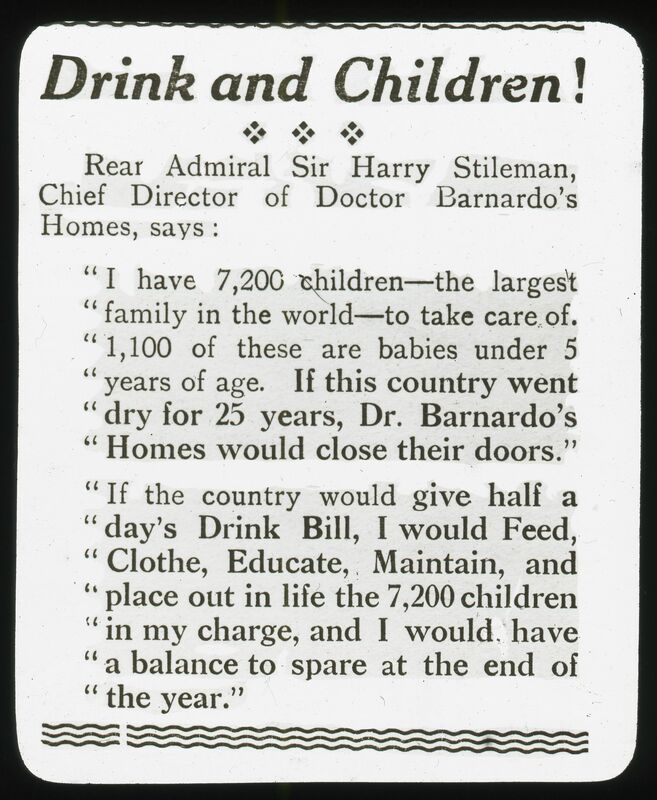 If this country went dry for 25 years, Dr. Barnardo's Homes would close their doors. 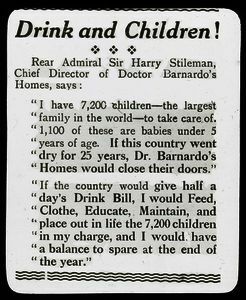 If the country would give half aday's Drink Bill, I would Feed, clothe, Educate, Maintain, and place out in life the 7,200 children in my charge, and I would have a balance to spare at the end of the year."